Whether your trees are sick or dying, we offer a wide variety of tree services including tree removals, tree trimming/pruning, root removals, root barriers and stump grinding/removals. We specialize in commercial tree projects. We do hedge trimming and removals, and even do small and large tree transplants. We do quick storm clean up and provide 24 hour emergency tree service. At Grow, we understand the importance of safety for our crew and your property. That is why we are licensed and fully insured to cover any potential property damage or injuries that may occur. Grow has professional, commercial equipment. 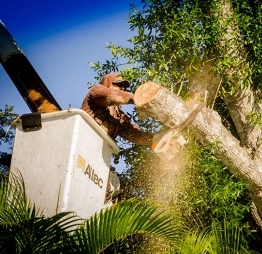 We handle all hazardous jobs with caution and are trained in dealing with sick and dying trees. 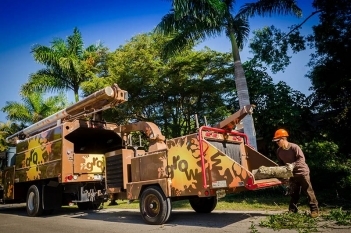 The Grow team consists of highly qualified tree service professionals whom are specialized in their own areas of expertise including Certified Arborists. We are proud to offer our customers the best service at affordable prices. The Grow team is ready and able to handle any tree service required. We keep our customers informed as well as work with them to develop a specific plan of action. We have full time Certified Arborists on staff. All we do is trees. We know them very well. We started out with a borrowed chain saw and a dream, and now that dream is being realized at levels even we never imagined. From the beginning, we wanted to be the smartest, most effective and most remarkable company that our customers - current and future - would ever encounter. We specialize in a broad range of skills and techniques to bring you a well-rounded approach. We follow the philosophy that each opportunity is unique and provide each client with a personalized plan to fit their needs. In addition to our tree expertise, we realize that customer service is very important to you. Time and time again, customers tell us how happy they are that we answer the phone live, show up when we promised, return phone calls and are available after we complete the work. We will come to you and assess your situation. We provide you with the most cost effective way to proceed and give you a written estimate, detailing the procedure and obtaining any required approvals. You will never have to guess at the price as our estimates are written and will not change unless additional work is requested. Questions? You Have Our Support. We keep you informed. If you have any questions or concerns regarding us or our services, you may submit this form and we will get back to you promptly. Or if you are ready to get it done, fill out this form telling us what service you need and get your free estimate today!